Topic: Who will be the last surviving Beetle? As morbid as it may sound..........Ringo or Paul. Who do you think will outlive the other? My guess is that Ringo will out live Paul. I must add that I do like the Beatles music as well as all of their solo work. When I hear music from Wings it brings me back to when I was a kid. Great music. I think the music from the Beetles will still be played hundreds of years from now. Re: Who will be the last surviving Beetle? 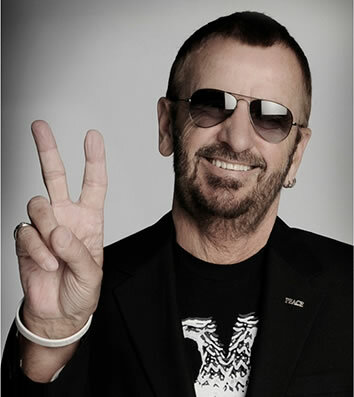 Some would suggest that Ringo already IS the only surviving member of the Beatles. Yes, Heather Mills was the admiring fan in the doomed vehicle. Ahem, correct me if I'm wrong, but isn't this the premiere post using the Marquee widgit? You're welcome! 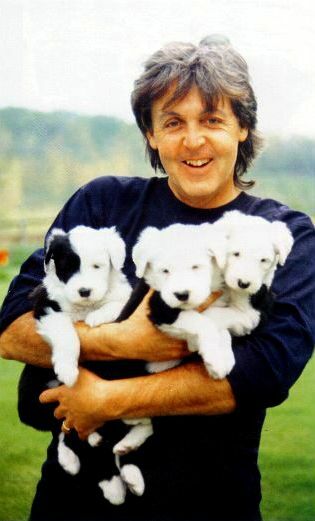 I recently posted on the "movies I'm watching" thread about the marvelous and informative movie "Paul McCartney Is Really Dead" http://www.coastgab.com/index.php/topic,615.msg34362.html#msg34362 I think Sir Paul might consider some type of libel suit if any of his lawyers could stomach the impossible task of actually watching this cinematic pestilence past the first 15 minutes. On a lighter Beatles mortality note, and since this is a radio geared forum, this reminds me of a funny true story. At least half of the funny is derived from the fact that, as I said, it is true. Being a thoroughly habituated radio hound, it is sometimes enjoyable to listen to a true trainwreck of radio eFup. (Thus, my occasional monitoring of boy george from time to time.) Locally produced, weekend morning shows are potentially target rich delivery devices for radio so lame that it can border on the Nooronic, except for that it can be funny. Call Screener- Good morning, what do you have to say about how sad it is about Pope John Paul dying? Call Screener- (Cutting me off, not letting me finish my sentence) Hang on! Radio Host Guy- Aldous! Good morning! So, what do you have to say about how sad it is about Pope John Paul dying? Me- I just wanted to say how sad it is about Pope John Paul dying. Radio Host Guy- Yes, it's really sad isn't it? Me- Yes, it really is. Now, it's like what, only George and Ringo are left, right? Radio Host Guy- Silence... A little more silence... Click!!! Caller! That is not funny! It is so sad that you would even... blah blah blah. The crazy thing is that about a month later, on a Sunday morning, I heard the whole thing broadcast again on the replay. Now that my friends, in this market area, is some great Sunday morning radio! HAHA! gotta love desperate radio shows. oh, and you were beaten to the whole marquee thing many moons ago. sorry bout dat. My guess is that Ringo will out live Paul. this is also my belief. not sure why i believe this, though. i just do. also ... it's spelled Beatles. as in Beatniks. The Beatles died on the same day: 31 December 1970. All a matter of opinion, as John lennon said after the death of Elvis... Elvis really died the day he joined the army. That`s when they killed him, and the rest was a living death. As for who crosses the finish line last... Ringo has had some chemical abuse issues in the past if I remember correctly. Although not a major implication compared to Paul who by reports has a very healthy diet... so my pick would be Paul to be the winning survivor. In both cases, "Beetle" and "Beatle", I say the Japanese one lasts longest. I think that Ringo will go first, assuming no unnatural causes. Really?! I wish you nothing but peace and love, brother. Aha, I am reminded that I heard one of Sir Paul's latest pieces of hot-wax. I didn't know the title was actually "Ceasar Rock." I had thought his voice had declined such that not only could he not sing as well as he once did (love me some Wings) but he was mush-mouthing "She's a rock." Muscially, allright, although I am not a fan of the drums in this one. Seems more like he his just yelling or rapping than singing. I think maybe he should stick to arranging/conducting/writing rather than singing anymore.